For individuals whose work is mainly outdoors or those whose work are highly labor intensive, it is very essential to ensure maximum work safety. In addition to the hard hat, overalls and tough gloves worn for safety, the work boots are also essential to keep the feet safe. Many men and women work in a risky environment and may have needs for more than one pair of work boot to ensure adequate protection and work safety. The mistake that people frequently make while selecting work boot is to think that one pair of work boot from a particular brand can serve every purpose and be safe to be used in any type of circumstance. This is a costly mistake that could cause you a small foot injury or result to a total loss of your hind limb. Before you buy a work boot you need to consider two main aspects. First up, the place where you work. Your work place would define the key security feature your work boot needs to have. The second area are the general features which a work boot should have. Both these aspects will help you in making a better choice for your work boot. How to choose the right work boot? It is very important choose a work boot that is fit for your job. Depending on your job there is one security features which your boot must have. We at the Work Boot Planet refer to it as the “focus area”. If you work in construction area then your boot should have special protection for your toe. This is done through a steel toe or a composite toe. Similarly if you work where lot of liquid (or oil) is spilled on the floor, you need a boot with better traction. The most essential factor you need to consider while selecting a pair of work boot is your work situation or environment. Once you are sure that the boot is equipped with the required type of safety, other factors cannot come into play. The pair of work boot you choose must be able to protect your feet for prospective risks like electrocution, it need to be anti-slip, have some protection against fall of heavy objects, piercing of sharp objects. It must make it easy for you to work on a rugged terrain and have required level of insulation from cold or heat. Here are the top features and then main “focus area” you should look for in your work boot. We have made recommendations according to these categories only. Now once you have chosen which category you fit into, there are top features which you need to look into while buying a work boot. If you work at a construction site or industry you must have received certain guidelines from the ANSI or OSHO about the safety equipment you need to wear while working. For work boots you need to have protective toe caps. These toe caps are of two types, the steel toe and the composite toe. Both of them adhere to the guidelines set by government bodies. Although steel toe boots offer more protection, but they are heavy and conduct electricity. So for this reason you might prefer the lightweight composite toe work boots. We have made recommendations for both. Goodyear Welt Construction is the most frequently used method of boot construction. It involves the use of a leather or artificial welt. A welt is strips of material that is inserted between the upper and lower sole and which is usually bind the two together. Boots constructed in this way are commonly very strong and highly durable. This welt is usually made from various materials like rubber, leather, or plastic which is stitched to the upper part of a work boot and the sole of the shoe. The strong narrow piece of material provides a great anchor that holds the whole boot together. After that, the welt is then enclosed by being cemented and stitched to the outsole. Work boots made through Goodyear welt construction hardly breaks. If they get undone after many years of use, the soles can be re-soled. The direct attached construction method In a direct attached method of boot construction, the mold is attached to the upper component of the boot and is packed with molten rubber which gradually hardens to give rise to the boots sole. Boots produced through the direct construction are very comfortable lightweight and have shock absorbent feature. Cement construction The cement boot construction involves the use of a stretchy, high strength adhesive to bond the out sole to the other part of the boot. The cementing method is the most affordable and lightest construction type. Work boots made through cement construction provide a high level of comfort. Cement constructed boots also easily mold to the shape of your feet and come with the most shock and impact absorption features. 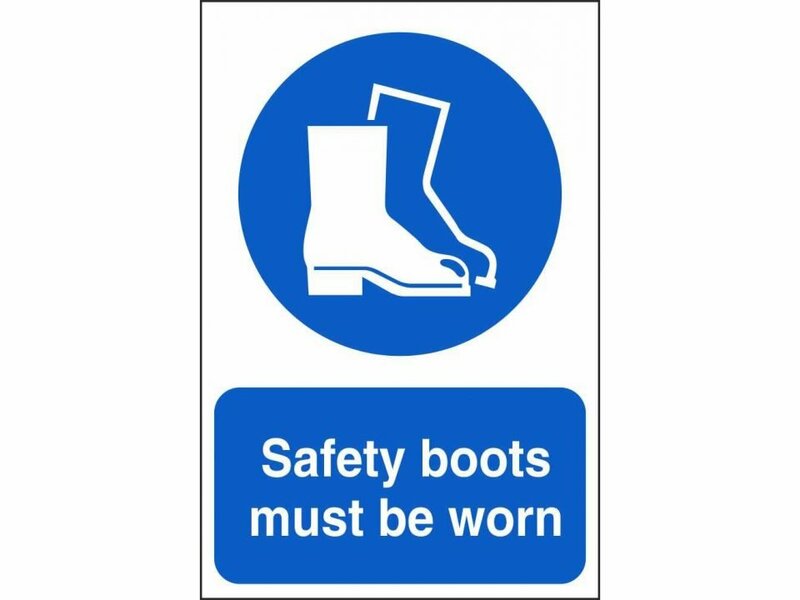 Safety & security is the key feature of a work boot. This depends on the “focus area” of your job. If you are dealing with heavy materials you should have steel toe boots. But if you are working near wires, you need a work boot that doesn’t conduct electricity and a composite toe work boot would work for this kind of job. Some work boots also have a “Puncture Plate” which should protect your feet from nails and sharp objects while working. Traction on the Outsole grip is the final criteria while considering security of the work boot. According to standard for safety footwear, toe protection ought to be able to resist 200 joules of collision and as well be able to accommodate one thousand kilo joules of mass with ease. Steel safety toes – The steel toe cap work boots are the standard preferred choices but they are usually very heavy and heavier than other types of toes. They are conductor of temperature and are unsuitable to be used in a colder climate. One key benefit of using a steel toe is it cannot easily get damaged; it can bend under extreme pressures without breaking. Aluminum safety toes – The aluminum toes are lighter than steel but also comes with equivalent strength. The disadvantage is that they are usually large sized and are larger than the steel toes. They as well conduct temperature and are unsuited for cold climate. Composite safety toes – Composite toe work boots are frequently made from a combination of plastic, carbon fiber or Kevlar. They are not made up of any form of metals or magnate, they are non-conductors and can be worn in any work temperature including areas with metal detectors. They comply with ANSI/ASTM safety requirements. They are lighter and thicker than steel toes and make the feet look more bulky. Alloy Toes – Alloy toe caps provide equivalent protection with the steel toes but they are lighter than steel. They are thicker than the steel toes but are typical choice of people who want foot wear that are lighter than steel toes. Alloy toe caps are great for lighter and sporty safety shoes that require ease of mobility as well as safety. This type of protective cap as well does not break under pressure but bends. Alloy toe cap is one of the popular choices of materials for the production of safety toe caps. The alloy is made from a mixture of very lightweight materials. These include Copper, Silicon, Iron, Magnesium, Chromium, Titanium, Zinc, Aluminum, and Titanium. Apart from being light weight alloy toes are as strong and as durable as steel. Whatever your work environment is, you need a pair of work boots that are slip and oil resistant. Good work boots will as well be puncture proof .Acid resistant soles are also essential but it depends on what your work environment is. If your work involves climbing, you need a work boot with a good grip on a ladder. The heel must be roughly 3/4 inch high and come with a bevel of roughly 45 degrees. If your work involves lifting heavy objects, you may need to get boots that have metatarsal guards. They offer additional protection to the larger part of your feet. If you are a railroad worker and logger, go for work boots with ankle and calf support. Your work boot need to be puncture proof to provide your feet some safety against sharp objects like broken glass, debris, and nails. Even when you are not working in a construction site, it is wise to choose work boots that come with high levels of puncture protection to ensure your feet remain safe. Look for shoes that come with steel, aluminum or Kevlar midsoles which provide your feet with the required protection as well as flexibility Purchase only work boot that has a sole that has roughly 1100N of penetration impact. Your work boot must be slip resistant to ensure that you don’t end up falling or slipping frequently while carrying out your work. For this you need a work boot that has reliable level of traction and a slip resistant sole particularly if you work in wet environments like slippery warehouses or garages commonly full of oil slicks. Look for features like multi-directional treading that provides additional grip. Some work boots as well come with that acid resistant soles keep the feet safe in case of acid spillage. A number of work men work in an environment where they handle electrical materials. If you work in this type of environment, it might be necessary to look for work boots that have electrical hazard protection or which come with static dissipation feature. Electrical hazard boots are boots that do not contain any material that conducts electricity. They have no form of metal inside them are intended to prevent the risk of electrical shocks. Static dissipation boots come with a particular type of conductive insole which is structured to eliminate the upsurge of static electricity. If you frequently have to deal with electrical materials like an electrician, you ought to purchase a work boot with an electric hazard rating and defense to avoid electrocution. These boots come with hundred percent non-conductive materials like the composite toe caps and rubber construction. They don’t contain any form of metal materials and don’t allow the passage of electricity through them. There are a lot of factors that can affect the toughness of a work boot. This includes the method of construction, the materials used in the construction process, whether or not the outsole is glued or stitched, the general quality and much more. It is not usually about the brand name but how sturdy the construction and the construction materials are. Surprisingly brand name isn’t always a good indicator. The best way to find out how durable a work boot is to check on the users review on Amazon. That way, you will be able to get exact idea about the durability from people who have bought the boot before you. If you are working in a cold environment you need protection from the harsh weather. Such boots offer insulation from the weather. Your feet will feel warm and you can work easily. Such work boots should also have good traction on snow or slippery conditions. Most manufacturers make all-round work boots which have more than one safety feature. We have made recommendations of work boots that perform the best in the particular focus area. They also do a good job in other aspects, but if you are looking for a shoe that performs the best in your desired “focus area” then you can take advantage of our recommendations. Waterproofing If your work involves working in a wet, mud, debris, wet gravel or even snowy environment, you’d need to get a waterproof work boot. Waterproof boots don’t usually come in a variety of colors and styles but they are great for individual working in environments that they can get wet. If your work is more of yard work, you may require more of waterproof material than you would require a safety toe feature. When you need to do works like mowing, clearing ponds and or going for family fishing, you’ll require more than a regular boot to avoid wetting your feet. This may result to pruning, desiccation, irritation or sometimes blisters that will be painful to treat. Insulation – You also need to consider the temperature of your work environment. That is why how insulated your work boot is matters. If you want work boot that are insulated for cold winter weather, look for work boots with insulation of lower than 30 degrees. Cold feet can make it uncomfortable for you to perform your duty well and as well affect your health. It can be very uncomfortable when you work in an environment that temperature affects your feet. If your works in a very wintry environment like a freezer room or in locations where temperatures tend to crash down, you absolutely need to buy a properly insulated work boot. However, the degree of insulation a work boot has against winter will affect your ability to wear it during the summer months. A frequently ignored essential feature to consider when looking for the best work boots is the weight. A work boot that is very heavy is not suitable if you have to walk a long distance while at work. Steel toes are generally heavy. Thus, only go for steel toe shoes if you absolutely need them due to your work requirement. People frequently do not take the weight of their boot into consideration when they decide on the type of work boot to purchase. However, to ensure the weight of your work boot doesn’t constitute any form of impediment to your work, you definitely need to get a lightweight boot except out of compulsory necessity. You definitely need a comfortable work boot irrespective of the work environment and your type of profession. This ensures that you don’t have to get down every now and then adjusting the fit of the shoe on your feet. Your feet can be very sensitive to pain and will transfer that to the rest part of your body. To ensure you carry on with your work with maximum concentration and efficiency, you need a comfortable work boot. 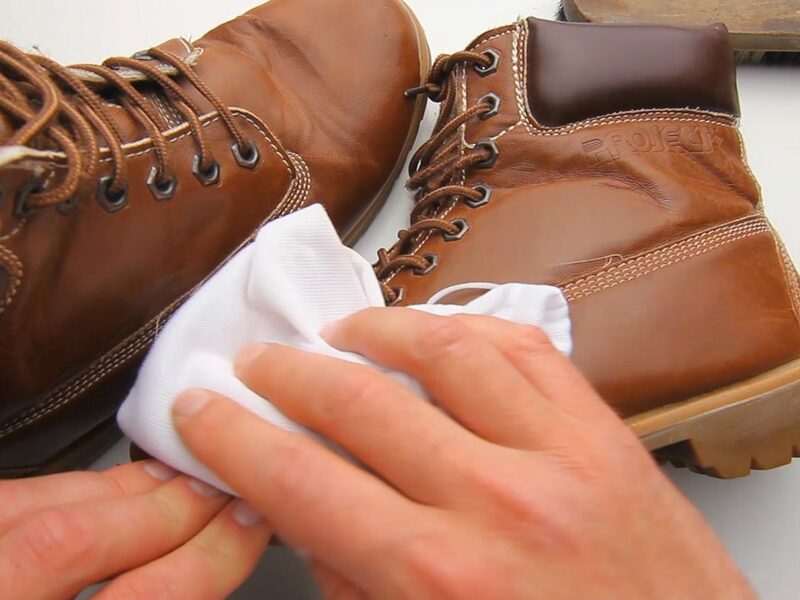 When you consider the numbers of hours you have to spend on your work boot every single work day all through the year, it makes great sense to ensure that your choice of work boot is a comfortable one that will allow you relax while carrying out your work with ease and utmost concentration. So, ensure you choose a high quality, comfortable and safe work boot to make your job much easy for you. The fit of the shoe should be comfortable. The midsole should provide good comfort and support. Since most of you will be wearing your work boots for long hours it is crucial that support is provided throughout the foot. A direct attach construction is known to provide the best comfort among work boots. So this article from the Work Boot Planet will give you everything you need to know before buying a work boot. We hope this information will help you take a better buying decision. Leave a comment below and let us know what you look for when choosing a work boot for yourself.